While global oil prices dropped 70%, Nigeria’s lawmakers’ budget stayed between a whopping N120-150 billion! Today Nigerians have to manage 70% less income while the lawmakers held tight to their billions. Our legislators are well known to be the highest paid in the world, while Nigeria has the most poor per economy per its population: the 110 million destitute as Vice president Osinbajo reminded us last week. Who sat and watched while billions of dollars was looted in past administrations and did nothing to protect Nigeria from the catastrophe? Who partied, cruised in their exotic rides and went on six week recesses while the past administrations allowed MEND, Boko Haram, Ombatse and other terror groups evolve and murder and devastate the lives of millions in Nigeria while coveting money for the army? Who absconded their duties, played and watched our refineries stay dysfunctional while enabling the oil cabal make a killing off of the plundering of our commonwealth? What group of public servants include indicted thieves, accused Boko Haram sponsors, wanted drug barons, launderers and corrupt ex-governors? This is the burden Nigeria carries. As Nigeria got Change at the top this May, a heavy serpentile weight remained that promised to do its best to derail the new direction the nation set out on. 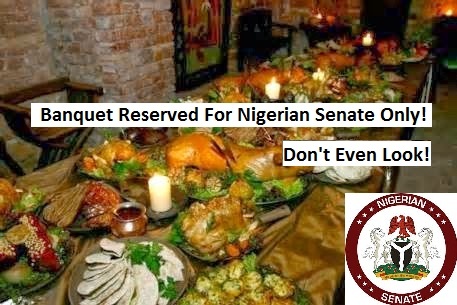 There is no question, Nigeria’s National Assembly by virtue of its greed and the less than 100 bills it passes in four years, is a burden to Nigeria and is dysfunctional beyond repair. God said we should not partner with such; we must not protect the rich over the poor; this brings Wrath and destruction to our land. If we have the capacity to remove them then this is our duty. They say, white man who made pencil, made eraser. The Power of Recall is the eraser. There is no room for the current selection of lawmakers who keep fighting to deny transparency of the assembly’s budget and to maintain as much as a billion dollars, N120-150 billion naira as its budget; mostly recurrent expenditure! A budget 10 times over what is reasonable. And money that is used to either oppress or turn their constituents into beggars and slaves. Senegal decided appropriately to scrap its Senate in the interest of its people. To do so in Nigeria will require first the recall of current lawmakers who will never otherwise give up their jobs in the best interest of Nigeria. Nigeria is running fine without Ministers, it will run better after we recall this crop of “legislators” while we reconstitute our assembly. 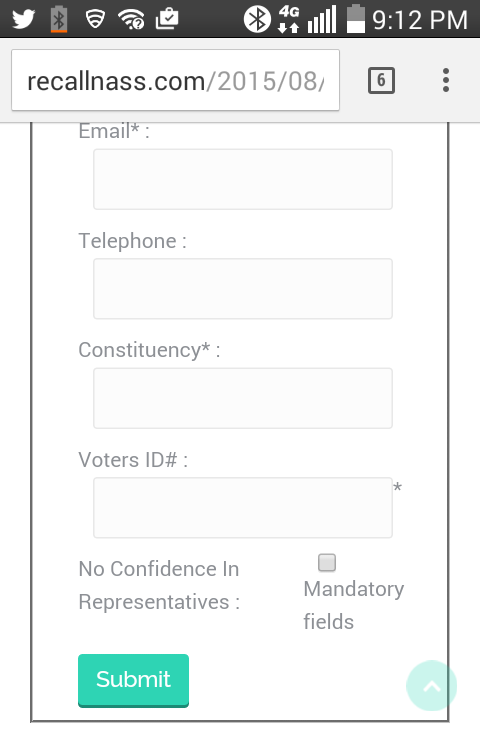 All Nigerians are invited to www.RecallNASS.com to sign their votes of “No Confidence” in their legislators as the constitution grants. All the current crop are co-conspirators, partakers in amassing an income that can only be considered legal looting. The entire building must be emptied, both upper and lower chambers. 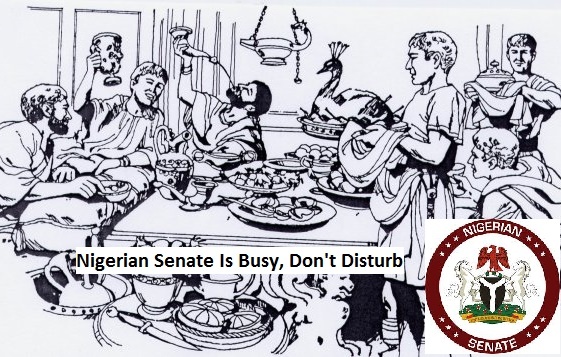 Let Nigerians not have any partiality or be selective because the Senators and Representatives have long given up their homes, families and constituencies and are only family and brothers to one another of a new “Abuja constituency/brotherhood/cult.” At this time in our history, we suffering masses need be only brothers to ourselves and stop being fooled and used by those who do anything other than represent our interests. After we recall all our legislators, Nigeria will begin a correct process of only considering intending candidates who pledge to contest to be lawmakers for the prestige of the job and for a minimum wage. Only such genuine Nigerians will be given our votes as we refill our house. In our haste to boot out Jonathan, corruption’s head, we definitely erred and overlooked standards the past General elections. It is time to fix this. We can also begin a process of change to a unicameral, one house system, the more popular system worldwide, scrapping the Senate after we have recalled our legislators. We have taken our time to develop a conducive online platform to enable the organized collection of signatures to Recall assemblymen across the country, north to south, east to west. When we marched and Babangida banned us from marching and we sat at home in protest; we showed our united resolve and successfully sacked the Babangida government that 1993 in the first Spring. Again we prayed and God answered our prayers and seized the life of a corrupt tyrant who was poisoning us with fake fuel imports. Again we were victorious. Most recently, in spite of people saying we could never defeat an incumbent, we rallied together and fought off their billions of looted dollars to defeat Jonathan and his fund raising cabal. And as the world laughs at us with this hopeless National Assembly of clearly corrupt men and women, we must prove to the world that we are not weak, cowards, fools or mugus. We will Recall them; this is our obligation to our generations to come. Do not be fooled when they offer a reduction; they’ll offer no more than 10% of their salaries and not the entire jumbo budget, you can bet. They’ll “give a dog a bone” as always. Where we are going is a 90% slash of that jumbo budget through new legislators. Recall and reset. We call on you to sign on www.RecallNASS.com and spread the word. We are tired of corruption and the corrupt and must get rid of the last vestiges of the corruption that has murdered us and held us back for far too many years. Few people cannot be parting with big money while the rest of us are hungry.